We were not meant to walk this earth alone. Humans are here to support each other, to learn and grow, and to be part of a bigger community. When we band together, we’re at our best. And when we help each other, we feel our best. The team here at Dealer Authority knows this, and we make reaching out and supporting others one of our missions. Every quarter, each employee gets a day “off” to go out into his or her community and volunteer. The places they volunteer at range from the Boys and Girls Club to local ministries to animal shelters to charity fundraisers and beyond. There is no limit or stipulations on volunteering, as long as our staff-mates are helping their communities and having fun in the process. No one understands this better than the Dealer Authority team! We already know that physical activity is good for our hearts and health. When you volunteer, you (usually) get in a bit of a workout. You might even get in MORE of a workout if you’re building new construction or doing other physical labor. But there are other health benefits to volunteering as well. If you’re volunteering outside, you’ll also have increased exposure to healthy Vitamin D from the sun’s rays. From a mental health standpoint, study after study has shown that when we help others, we experience lasting happiness. This is because we can step back and see that we made a real difference for the causes we care about. While learning new skills to enhance your career outlook is one of the most valuable benefits of volunteering, so too is learning something new for the sake of simply learning! This might be discovering how to repair a home or paint one from scratch, or it may be the opportunity to practice your second (or third) language skills with native speakers. Perhaps you’ll go behind-the-scenes to learn about animal or forest conservation or spend a day talking to at-risk youth. No matter what volunteer experience you decide on, there will be countless opportunities to learn new practical, social and communication skills that will help you thrive as a person, and not just in the workplace. As you’ve seen, volunteering and supporting our communities are such important aspects of Dealer Authority. We couldn’t imagine DA without them! 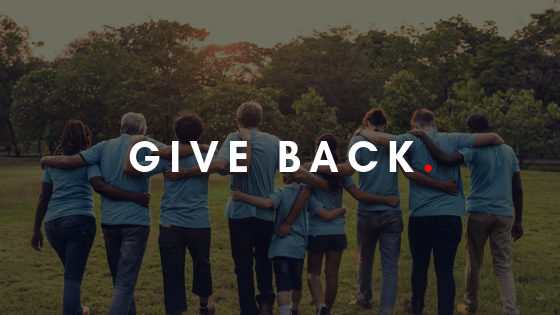 Keep up with our most recent Giving Back experiences on our website and blog, and if you have a local charity that you like supporting, be sure to let us know!